President Trump and the NC Senate have already proposed drastic budgets that would hurt millions of low and middle-income households across the country and here in North Carolina. If all politics is local, it is important to listen to what cities and towns have to say. The 2017 State of the Cities report released this week by the National League of Cities (NLC) finds that economic development, public safety, infrastructure and budgets are the top issues for communities around the nation. The report points out that ‘budgets’ are particularly a top issue for states in the South, especially in towns and cities that have populations under 100,000. 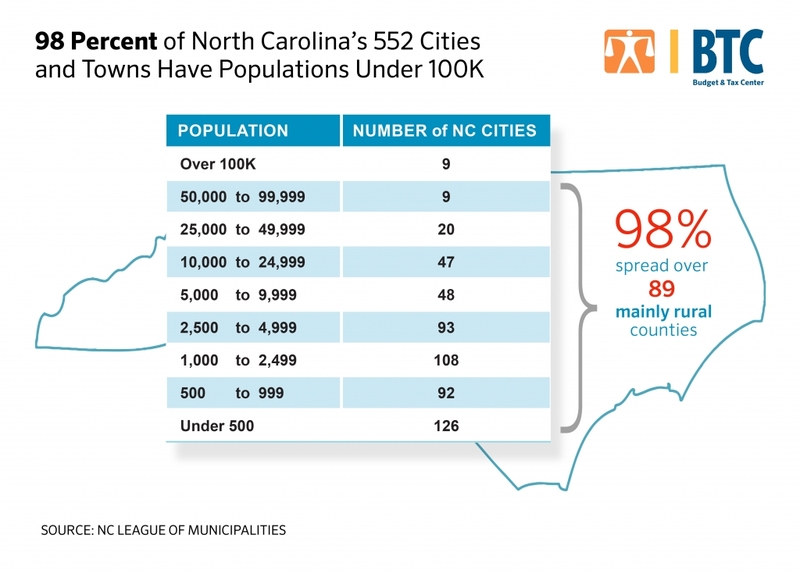 For NC, this is very concerning considering that 98 percent of all cities and towns in the state, spread across 89 mainly rural counties, have populations under 100,000. Moreover, 75 percent of all cities and towns in North Carolina have populations under 5,000. In other words, 543 cities and towns in NC – out of 552 – are highly likely to be concerned about their budget and therefore see it as a top issue. The report points out that ‘budgets’ has remained one of the top 4 issues for cities each of the past 4 years. “The administration’s budget proposal would be devastating to cities and towns. No community in America would be better off with this budget, and it could bankrupt smaller cities and towns. It does nothing to create jobs in our communities, and violates the president’s core campaign promise to lift up Americans in communities across the nation. The White House ignored more than 700 city officials who urged the administration to protect crucial programs, including Community Development Block Grants, TIGER grants and the HOME Investment Partnership Program. These vital programs allow communities to invest in public safety, economic development and infrastructure, and create private-sector jobs. The budget proposal would have a disproportionate impact on America’s small cities and towns, whose budgets are already stretched thin. In these communities, the programs being targeted are a lifeline for maintenance and investment. For those communities, this budget would spell disaster — and, in many cases, bankruptcy.